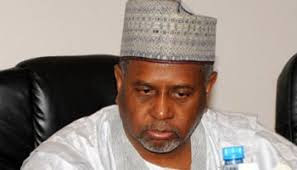 The detained former National Security Adviser, Col. Sambo Dasuki (retd. ), has ruled out the option of filing any contempt suit against the Department of State Services and the office of the Attorney General of the Federation and Minister of Justice, over his continued detention. SUNDAY PUNCH findings revealed that the ex-NSA is looking forward to his freedom having fulfilled the terms and conditions of the bail recently granted him by the Federal High Court in Abuja. But the AGF, Mr. Abubakar Malami (SAN), and the Director-General of the DSS, Mr. Lawal Daura, have yet to obey the July 2, 2018 judgment of the court which granted bail to Dasuki in the sum of N200m with two sureties in like sum. The court’s judgment, which described Dasuki’s detention since December 29, 2015 as illegal, was specifically directed against the AGF, the DSS and its director-general, who were the defendants in the suit. After the ex-NSA met the bail conditions, his lawyer, Mr. Ahmed Raji (SAN), confirmed that the release-from-custody warrant, issued by the court confirming that the detainee had met all the conditions of the bail, was served on the DSS on July 17. But despite the continued disobedience to the court order by the AGF and the DSS boss, by refusing to release the ex-NSA, Raji told SUNDAY PUNCH that they would not file any contempt suit against the government officials. A contempt suit generally seeks the imprisonment of anyone who is believed to have disobeyed an order of the court. Raji, in his response to our correspondent’s inquiry, said in a text message that instead of filing a contempt suit, they would keep appealing to God to touch the hearts of those holding the detainee. DSS operatives on December 29, 2015, re-arrested and took Dasuki into custody shortly after he was released from Kuje Prison in Abuja on meeting the bail conditions imposed on him by the courts where he is being currently prosecuted for various charges including criminal diversion, money laundering and illegal possession of firearms.